Goh Cheng Liang was born in 1928 in Singapore of Chinese descent, and is a businessman, best known to the world as the founder and chairman of the Wuthelam Holdings, which is focused on making paint and coatings. Have you ever wondered how rich Goh Cheng Liang is, as of mid-2016? 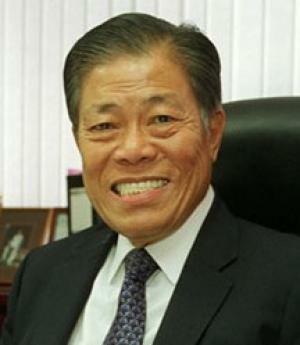 According to authoritative sources, it has been estimated that Goh Cheng Liang`s net worth is at least as high as $5.6 billion, which has been accumulated through his successful career as a businessman – his interests are such that his wealth can vary according to daily stock exchange movements, so he is the richest or second richest person in Singapore. Goh Cheng Liang and his family managed to survive the Japanese occupation of Singapore during World War 2, but his early life and education were therefore somewhat disrupted. It is known that he lived 12 years in one room with his parents, brother and three sisters, in what was then a relatively poor island, but of strategic trade and military importance. He was sent to Muar in (then) Malaya, where he worked with his brother-in-law selling fishing nets. However, he returned to Singapore in 1943, and worked at a hardware store, but then managed to started a business selling aerated water. However, his life changed in 1949 when he bought rotten paint from the British army after the second World War ended. He then began mixing paints and created the Pigeon Brand of paints. In 1950, Korean War erupted, and imports into country were highly restricted. His paint business began slowly to develop, and in 1959 he was approached by Nippon Paints Japan, and became the focal point for distribution in 1962. Since that point, his business grew, including beginning to manufacture paint in 1965 after studying techniques in Denmark, and then in 1974 he founded Wuthelam Realty Company Limited, changing its name to Wuthelam Holdings four years later. The concentration has been in real estate , in particular construction in the flourishing development of Singapore. Nowadays, his company employes over 16,000 workers in more than 50 factories, spread throughout Asian countries, including China, Malaysia and India. To speak further of his accomplishments, Goh Cheng Liang has also started Yenom Holdings, which owns several companies in various industries. These have also increased Goh`s net worth considerably. In his personal life, Goh is known as a recluse, and apart from his son Goh Hup Jin being involved in his business, all other family matters are strictly private. He is also recognized for his philanthropic activities; starting the Goh Foundation, through which he has donated more than $60 million to the National Cancer Centre Singapore, and has also helped some of his employees, paying for their expensive treatments. Size of his overall wealth best reflects in his luxurious yachts and catamarans; according to reports he has paid an Australian firm to build him an 84-meter super yacht that will certainly be one of the largest yachts in the world. When it comes to his personal life, Goh has a son, Hup Jin, who is the Vice-President and Director of the Wuthelam Holdings. Other details about his personal life are unknown in the media.